OnePlus is making no secret about the fact that it has a new flagship smartphone in the works. The Chinese startup this week shared a new OnePlus 6T teaser trailer that offered a number of clues about how its in-screen fingerprint reader will work. The company has previously confirmed plans to use a fingerprint scanner embedded underneath the glass display in its forthcoming phone, but stopped short of revealing how the system would look on the finished product. The new teaser video, which is entitled “OnePlus 6T – Tap into the future”, reveals that OnePlus will illuminate a glowing fingerprint pattern in the lower-third of the display to highlight where users need to place their digit to unlock the device. This innovative new feature was long-rumoured to be planned for the iPhone X, before being dropped because it was too challenging for Apple engineers. OnePlus 6T owners will be able to touch their fingertip to the display to unlock the device, authenticate payments and login to secure software, like banking apps. 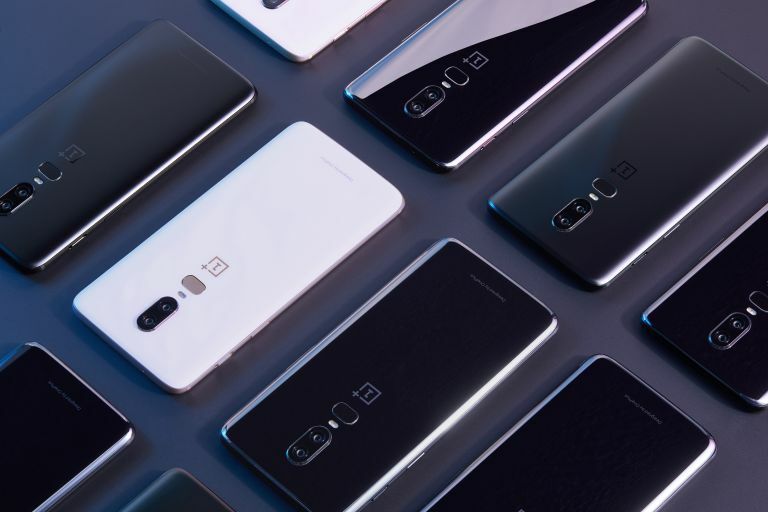 Previous OnePlus handsets shipped with facial recognition to allow users to quickly unlock the smartphone with a glance. The company added the system when it relocated the scanner to the back of the device so that smartphone owners could unlock the handset easily when it was resting on a table, covering the sensor. Beside the removal of the fingerprint scanner from the back of the device, we're expecting the OnePlus 6T to look a lot like the OnePlus 6 – think a screen in the region of 6.3 inches, with a notch design for the selfie camera and sensors. Leaks suggest the notch will be a little smaller this time around, more like the teardrop-esque design seen in the Oppo F9 earlier this summer. The shrunken cut-out promises to give the new smartphone a cyclops-like appearance that could allow much more space for notification indicators and information in the status bar. The notch used in its predecessor, OnePlus 6, took up around a third of the space at the top of the screen. By comparison, the notch used for the OnePlus 6T looks set to be much smaller – barely large enough to cover the selfie camera, let alone the proximity sensor, or front-facing speakers. OnePlus has also confirmed that its next phone will ditch the 3.5mm headphone port – a first for the disruptive Chinese technology company. In a recent OnePlus 6T price leak, the cost of all of the forthcoming accessories for the flagship smartphone was revealed. Included in the list was the USB-C to 3.5mm headphone jack adapter needed to connect old wired earbuds to the new handset. The adapter will set OnePlus 6T owners back €8.95, which is around £8 or $10.35. However, there will be one of these dongles included free in the box with the phone. The phone should launch with Android 9.0 Pie as well, since the OnePlus 6 has already been updated to the latest Google mobile OS. As for when it's likely to hit the shelves, most rumours point to an announcement on October 17, 2018.